I can't think there will be a Burnley fan anywhere who isn't disappointed with the news, but likewise there really shouldn't be a Burnley fan who begrudges Tripps this big move after what he's given us over the last four years. Personally, of all our squad, I think his departure marks the biggest loss of all, a player still only 24 who has become one of the best right backs I've seen in over half a century of watching the Clarets. 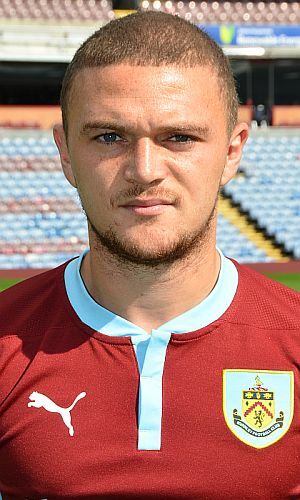 The 20-year-old Trippier arrived at Burnley on 26th July just days after the news broke that Tyrone Mears had finally got his wish to return to the Premier League. He and Chris Eagles were off to Bolton but although the deal hadn't gone through we moved quickly to bring in Trippier on a season long loan, a similar deal to the one that had seen Ben Mee arrive at Turf Moor. He was quickly in action for us, playing that night in a pre-season friendly at Oldham. He played the first eighty minutes at right back but I was somewhat confused early in the game when he and Alex MacDonald took the posts when we conceded a corner, and I wasn't the only one. They looked very similar. 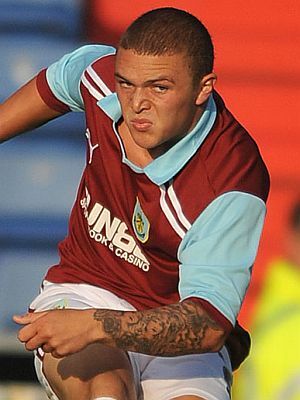 Trippier had already been at Barnsley on loan so had experience of the Championship. Barnsley fans appeared on our message board to sing his praises but, as is the case with some, they weren't for accepting any positive words and moaned that we'd replaced Mears, who some thought should have been playing for England, with an untried youngster. It didn't take this supposed untried youngster to win round those sceptics and long before Christmas there were rumours that we were trying to make his move to Burnley a permanent one. They weren't rumours, it was just a badly kept secret, and he duly signed a deal with us on 3rd January 2011 to run until the end of the 2014/15 season. Just the day before he signed the deal he was sent off after his new Spurs team mate Andros Townsend, playing for Leeds, conned referee Mark Brown who sent off Trippier meaning he missed the FA Cup tie at Norwich. His play going forwards was excellent but defensively was a different story, and at the start of the 2012/13 season he was part of a defence that was leaking goals for fun, the same back four that played in our last home game just a few weeks ago against Stoke. Never was it more evident than in the 4-3 defeat at Crystal Palace when, in fairness, he was hung out to dry by our approach and left to be murdered by the pace of Wilfried Zaha. Trippier was looking an outstanding attacking full back; the arrival of Sean Dyche as manager with his framework led to him also being a good defensive right back. He'd had two good seasons with us but then the 2013/14 season will be one he surely will always remember. There wasn't a better right back in the league and the number of assists he got in our promotion season was incredible for a full back. He'd landed himself a place in the PFA Championship team in the previous season and there was never any doubt that he'd get in there again. He was, without doubt, a pivotal figure in our promotion. Going into the last season of his contract, he and the club agreed a new three year deal, but with the assurances that should we be relegated he would be allowed to leave. As Dyche said this week, he was showing us great respect by signing that deal. Had he not done so he would have been signing for Spurs on a free transfer. The fact that Spurs, and several other Premier League clubs, wanted him is testament to his performances last season. He adjusted to the higher level well and turned in some more outstanding performances. Besides the quality of his performances, he's not been missing too often. He was ruled out of the win at Hull in November 2012 because of another one match ban, this one because Bobby Madley, wrongly, thought he'd handled the ball on the line. The big shock came when we went to Charlton in the promotion season. For the first time, Tripps was out injured. He missed five games with Chris Baird, who has signed for Derby today, coming in to stand in for him. He returned for the final five games of the season and the only time he's been missing since was when he was stretchered off at Leicester, much to the disgust of Nigel. Back in the close season of 1971, after we'd been relegated, we sold Ralph Coates to Spurs. I was almost in tears that Ralph had gone, but it was the right decision to allow a top player to continue at the highest level of English football. Ralph became a crowd favourite a big crowd favourite at White Hart Lane, just as he'd been at the Turf. I'm absolutely convinced that Tripps can do just the same. I'm disappointed today that he's gone. Of course I wanted him to remain a Claret, but how on earth can we hold back a player who has been given this opportunity. We should feel privileged that we had him for four years and should now wish him the very best. That's the least he deserves from us. We can recall his superb performances, we can recall him doing the chicken impersonation when we scored against Blackburn and what about his celebration in front of the Darwen End in March last year? All the best Tripps - I hope your career takes you as far as you want to go - and thanks for the last four years.